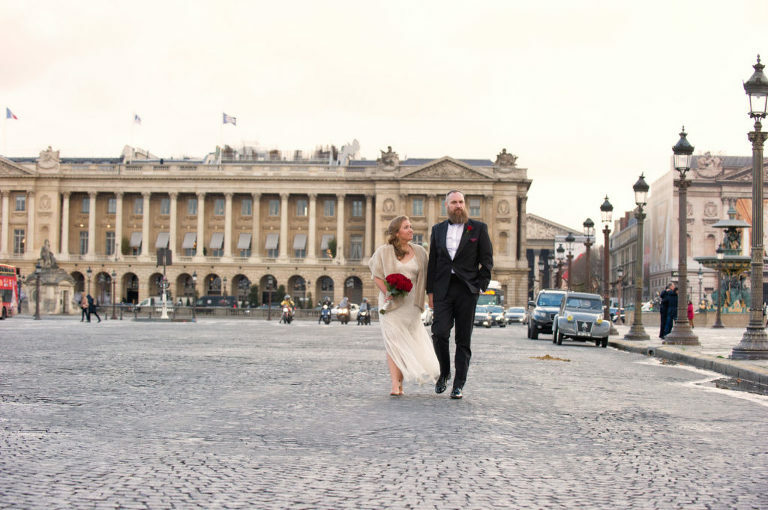 Kathy & Lee eloped to Paris yesterday!! 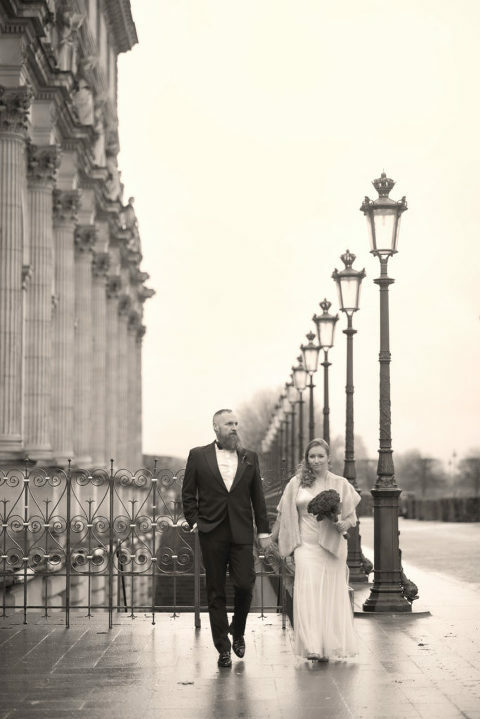 Lee contacted our sister company WeddingLight Events to orchestrate a surprise elopement! 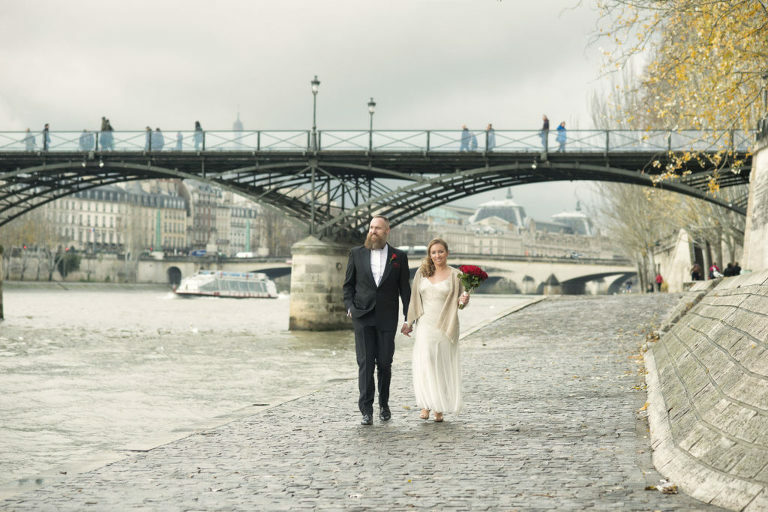 He proposed to his girlfriend in Copenhagen, they then flew to Paris on a short visit and married in a very simple way. Here a few photographs of their beautiful afternoon. It rained, it was quite wet and luckily the sun came out on a few occasions. The ceremony was supposed to take place at the square Jean XXIII. 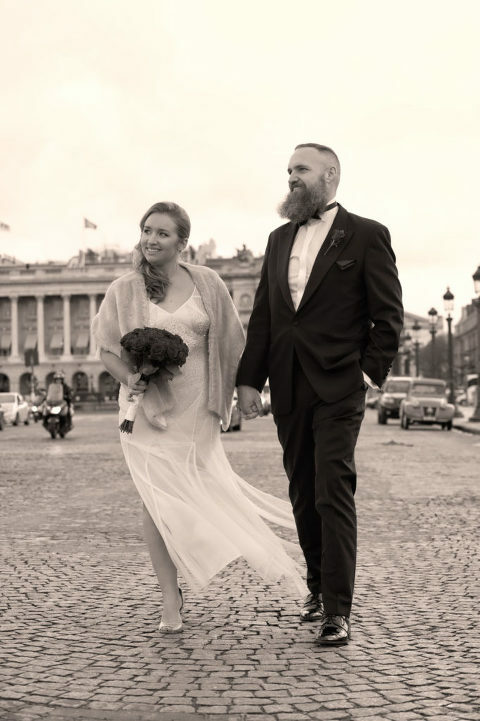 As they stepped out of their apartment, it started raining so we quickly decided to move the ceremony location to the arcades of the Louvres which we knew from experience was going to be ideal considering the unpredictable weather forecast for the day. Apart from some little weather constraints, we all had a great time. Our clients are overjoyed and this is what matters. Romain drove us around town in a classic 1951 2CV citroen. It is a beautifully restored French beauty which passerby mesmerized at as we were driving past. Our friend Muriel and Fred pampered Kathy at her apartment. Miyoko prepared a simple yet elegant bouquet of red roses for Kathy and a bouttonniere for Lee. John our officiant was waiting for us to arrive at the Louvre. He had prepared a very moving text for this young couple in love. We started our photo tour with the river seine, then the louvre for the ceremony and headed to the eiffel tower and the bir hakeim bridge. Then we drove back for a little ride over to the place de la Concorde, a typical French brasserie over at the Boulevard de la madeleine. We completed the afternoon with some photographs at the gardens of the palais royal which is so beautiful in the fall. I am very happy with the result. The photos are quite natural & they both have a big smile on their faces. It is certainly not the easiest to be photographed over a few hours, simply be yourself and enjoy the moment with your partner. I had a wonderful time with the two of them. 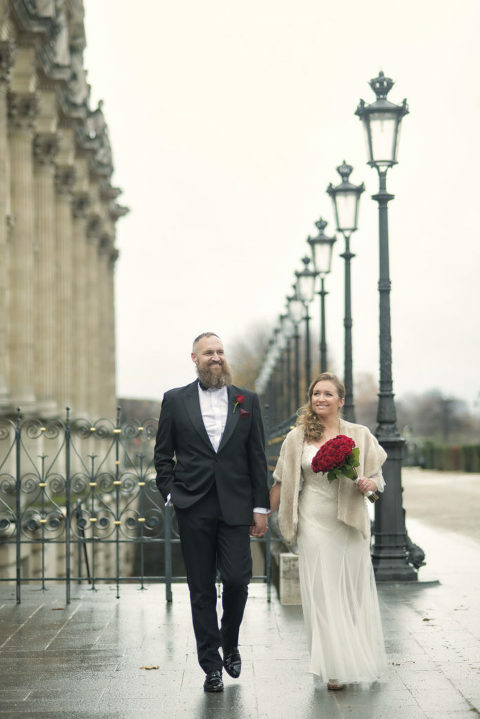 So congratulation to Kathy and Lee and thank you for having me document the most amazing day of their life in Paris. I am so glad i shared those special moments with you. The photos are very nice, job’s done! Have a wonderful life together and come back to Paris one day.